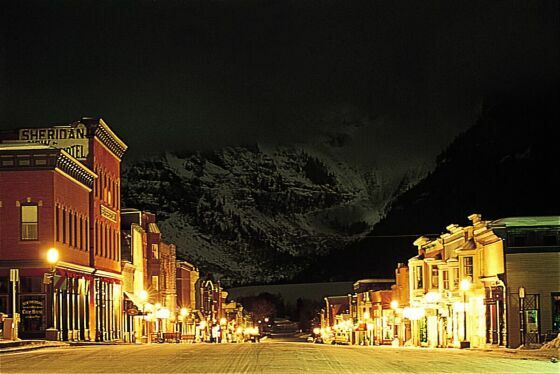 Telluride Colorado is a turn of the century mining town that is now a National Historic District. 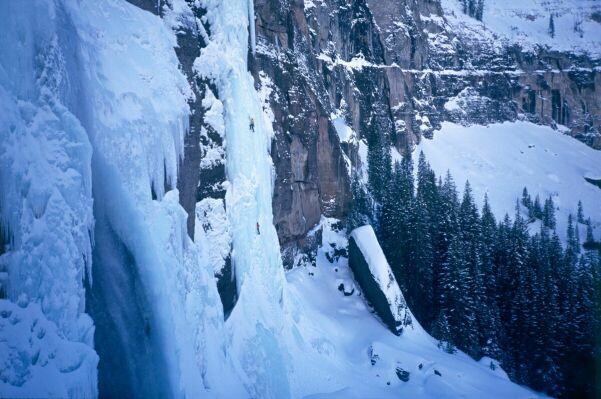 Located in the San Juan mountains at the base of Box Canyon,Telluride has some of the most amazing views anywhere. It is surrounded by 13,000' peaks, 3000 acres of National forest to explore and the San Miguel River that runs through town. It may take some time for visitors to get acclimated to the altitude. 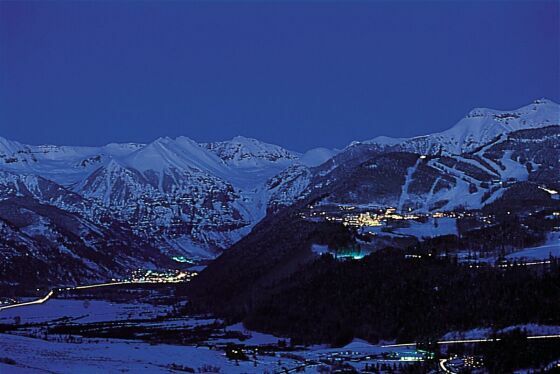 The town of Telluride sits at 8,750' and its sister town of Mountain Village sits at 9,450'. 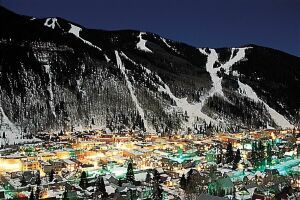 The two towns are connected by the "free" year-round gondola. It takes just 12 minutes to make the trip on the gondola and is faster than driving,so its best to leave the car in Telluride. 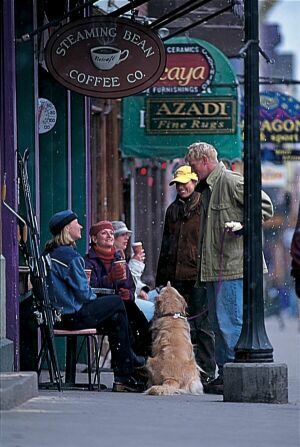 There are no stop lights in Telluride and the town is only a mile long, making the visit an easy walk to shop and eat. There are only about 2,000 full time residents so you won't get overwhelmed with crowds. The climate is great. Summers can be expected to run into the 70's for highs and 30's in the winter. Click on the link below for driving directions. 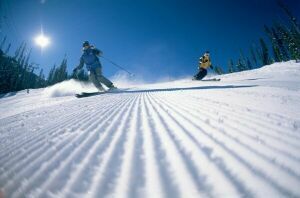 Voted as one of the top five overall ski resorts in North America by readers of Cond Nast Traveler. 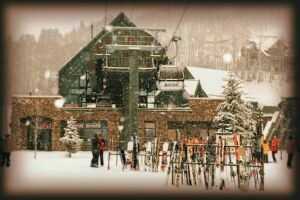 Get your own cabin or enjoy one of the guest rooms at this fabulous resort and treat yourself to such amenities as down comforters, plush bathrobes and linens, a well-stocked bar, a stone fireplace and the services of a ski valet who warms and tunes your ski gear overnight. The Golden Door Spa at Wyndham Peaks Resort features 44 treatment rooms, saunas, steam rooms, Jacuzzis, an indoor lap pool connected by a water slide to the lower indoor/outdoor pool, a Cybex weight room, cardiovascular deck, squash and racquetball courts, indoor climbing wall, reading and television lounges, and a full-service beauty salon. The property also features an on-site massage therapist. 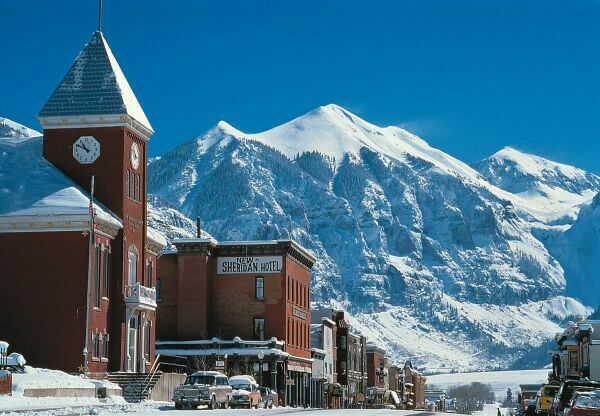 Stay in the historic Telluride Hotel that has welcomed guests for over 100 years. 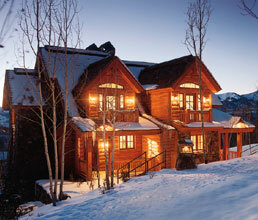 The New Sheridan sits in heart of downtown Telluride. In 1995 all 32 of it's rooms were remodeled and were kept in the Victorian elegance and turn of the century grandeur theme that the hotel has become famous for. 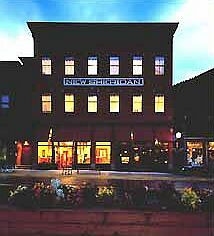 Most people who have never been to Telluride will recognize the New Sheridan Hotel from the recent Chevy Avalanche commercial that has been airing quite frequently. Rooms are reasonably priced and very nice indeed. Click on the photo to go to directly their web site. 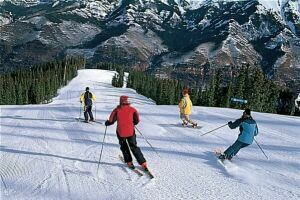 Colorado's Only Helicopter Skiing Operation. 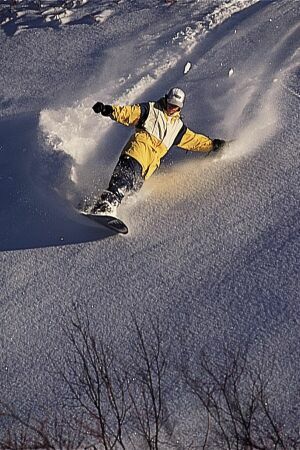 Novice to advanced powder skiers and boarders experience the dream of skiing off some of the highest helicopter ski accessed peaks in the world on over 250 square miles of Heli-Ski terrain. 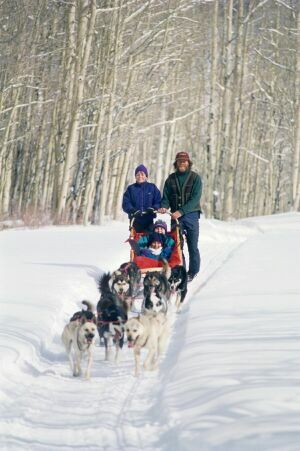 Dave J. Rote will take you on a 2 hour or full day snowmobile adventure.With over 80 miles of backcountry trails around Telluride to explore, you are sure to have a great time. Let the guides at Telluride Outside High Country Outfitters take you on a fly fishing adventure in one of the many rivers and lakes around Telluride. The San Miguel river is rated as "Free Flowing". A status only 5% of the rivers in America can claim. While the main river holds predominately Rainbow and Brown Trout, the headwaters and side creeks are home to Brookies and Cutthroats. The summer and fall months provide wonderful dry fly fishing. However, the river is accessible year-round, with often the largest fish being caught in the spring, prior to runoff. 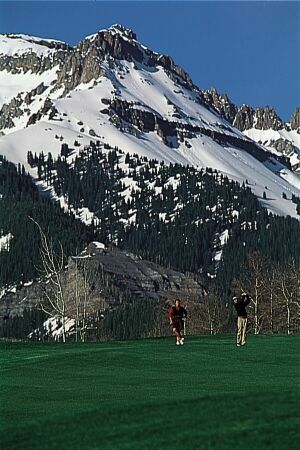 Telluride Sports has several locations in town to choose from. 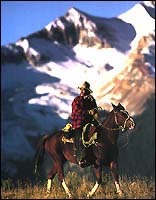 You can rent just about anything that you may need while enjoying your trip. Bikes,tents,sleeping bags,kayaks,paddle boats,skis,snowboards,waders and even a wet suit if needed.Click on the link below to see the current rental rates. 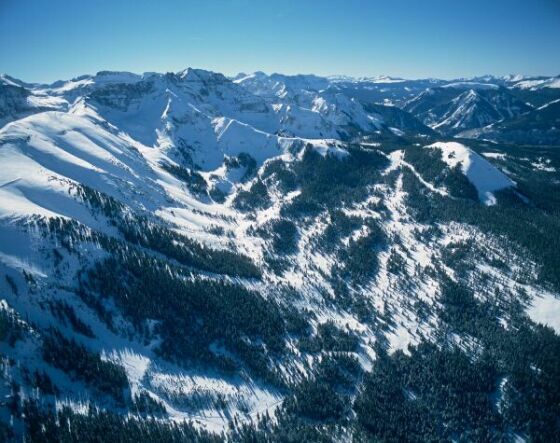 Let the professionals at Telluride Soaring take you on an unforgettable journey over Telluride and the surrounding wilderness.